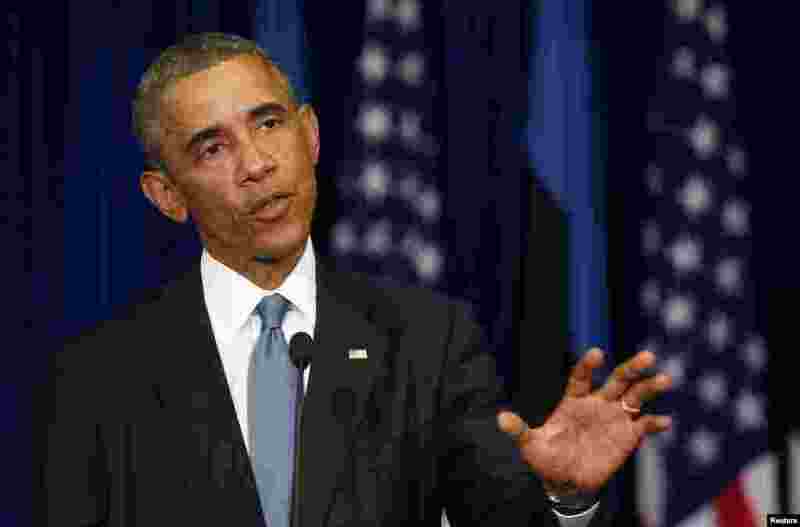 1 During a press conference, President Barack Obama says that the U.S. plans to fight the Islamic State until it is no longer a force in the Middle East, in Tallinn, Estonia, Sept. 3, 2014. 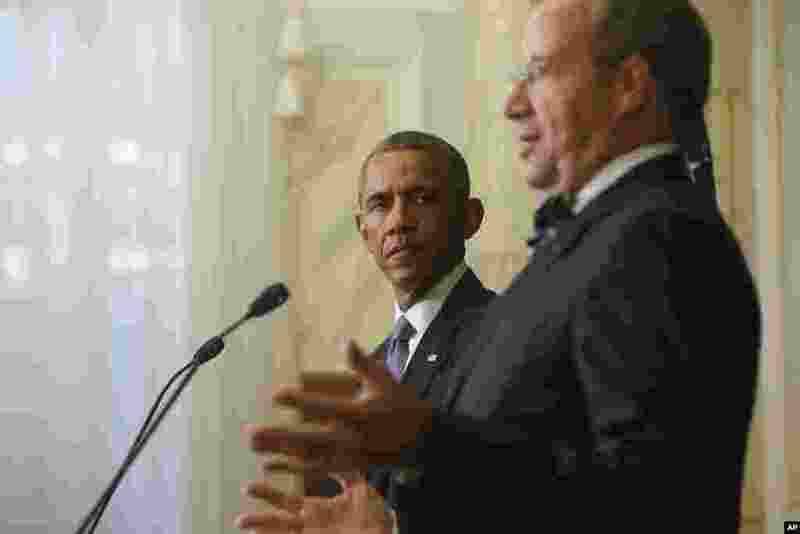 2 President Barack Obama at a news conference with Estonian President Toomas Hendrik, wherein Obama commented about U.S. journalist Steven Sotloff, killed by Islamic State militants, Tallinn, Estonia, Sept. 3, 2014. 3 Police cars are seen in front of the family home of U.S. journalist Steven Sotloff in Pinecrest, Florida, Sept. 2, 2014. 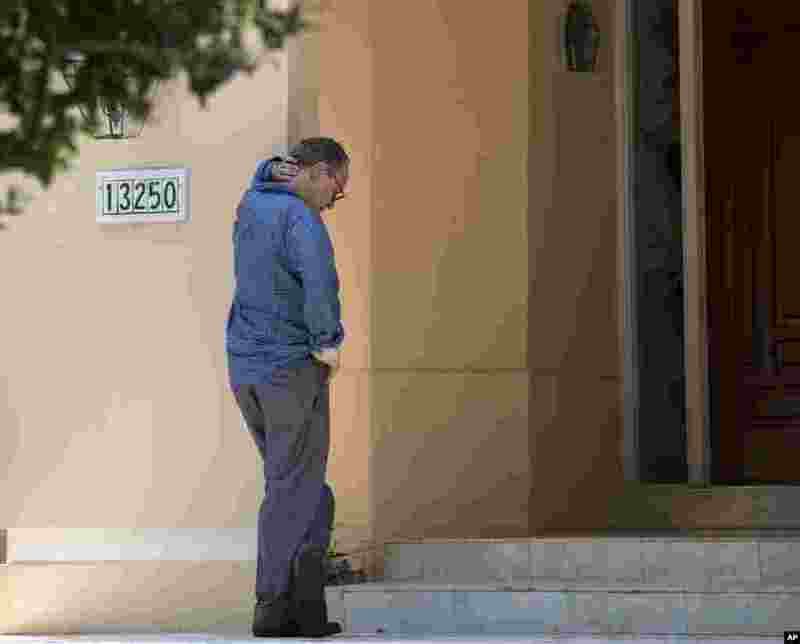 4 Television journalists stand outside the family home of journalist Steven Sotloff, in Pinecrest, Florida, Sept. 2, 2014. 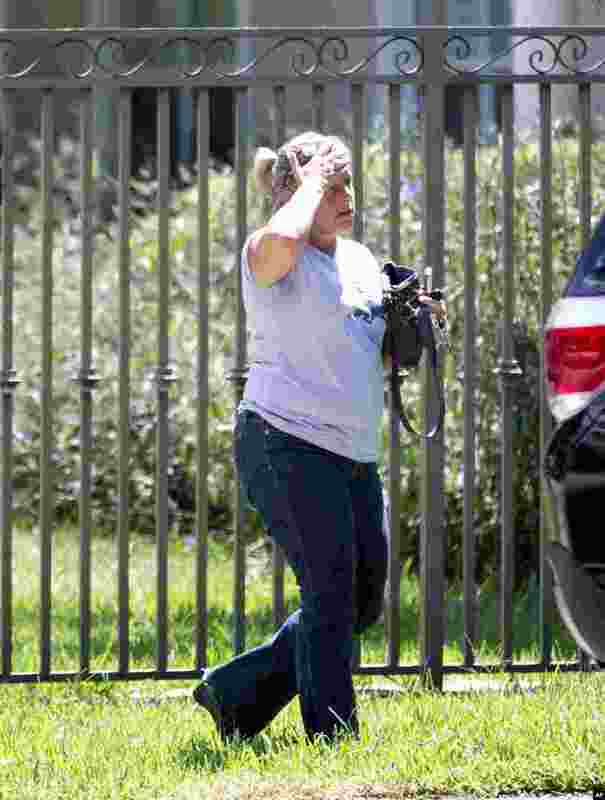 5 An unidentified woman walks towards the family home of journalist Steven Sotloff, in Pinecrest, Florida, Sept. 2, 2014. 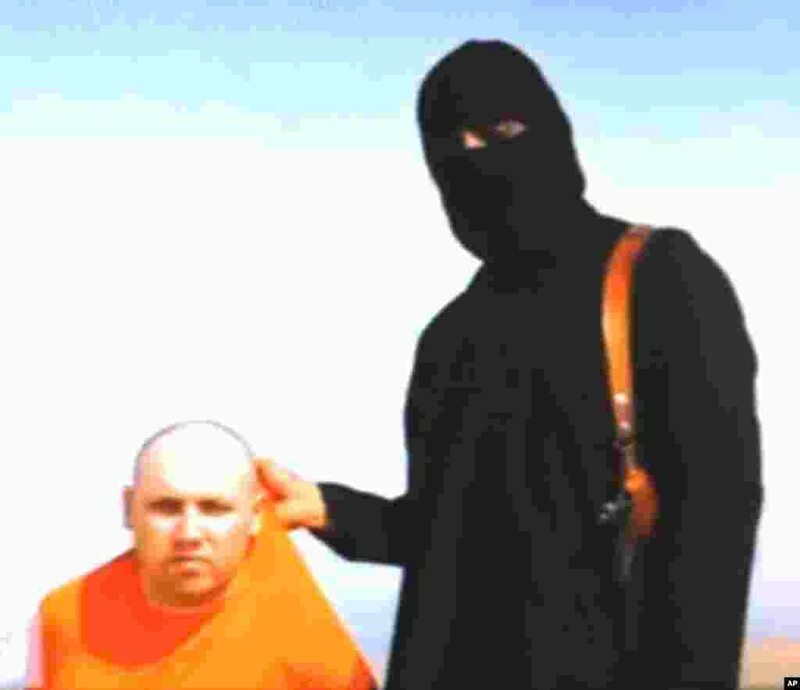 7 This still image grabbed from an undated video released by Islamic State militants on Aug. 19, 2014, purports to show journalist Steven Sotloff being held by the militant group. 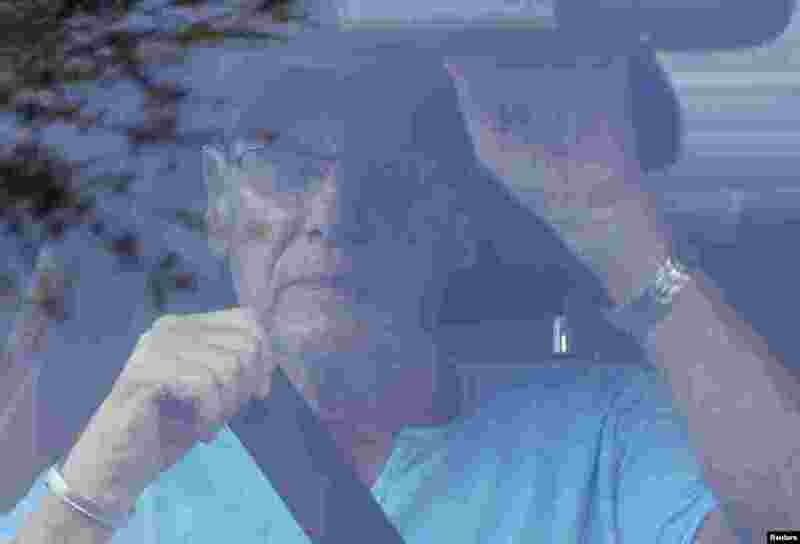 8 Arthur Sotloff, father of slain journalist Steven Sotloff, leaves the family home in Pinecrest, Florida, Sept. 2, 2014. 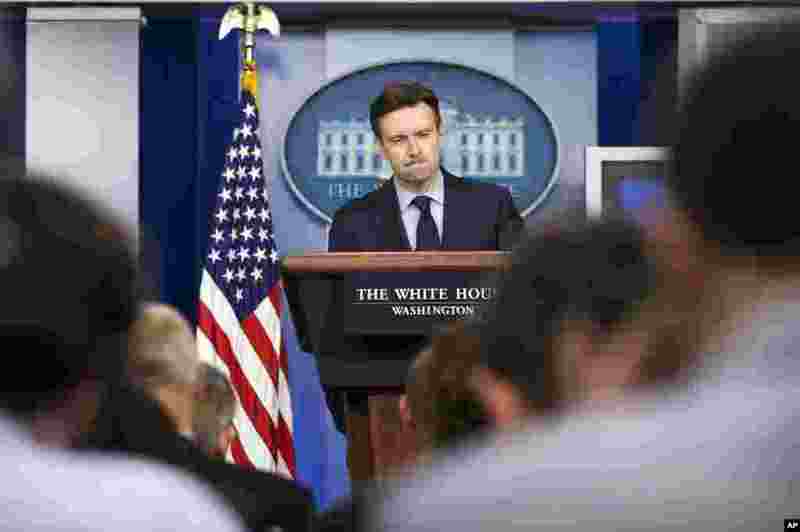 9 White House press secretary Josh Earnest speaks about the video posted on the internet that purports to show the beheading of U.S. reporter Steven Sotloff by Islamic State militants, during his daily news briefing at the White House in Washington, Sept. 2, 2014.